I mean, she did, of course, and with some reminders to say the sounds in the word, her memory was jogged enough to produce the letters. But her fear of summer reading loss was real. And it reminded me that we can’t abandon school work completely without experiencing the dreaded summer learning loss. 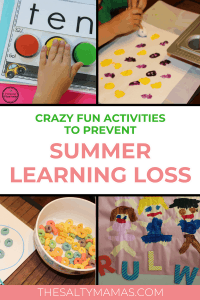 So if you also find yourself with a child entering PreK, TK, Kindergarten, or First Grade, it’s worth putting just a little time into some fun summer learning activities to avoid the dreaded summer slide. 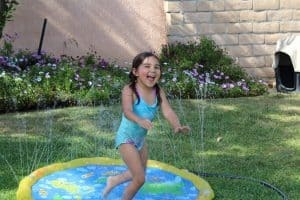 Here are some fun ways to make it happen without stressing your kids (or you!) out. We’ve told you all about how important it is to read to your kids, and how to help them become readers. 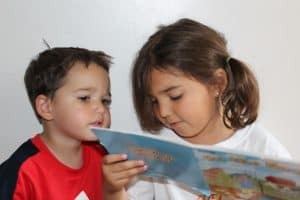 One of the best things you can do with your children is to incorporate some summer reading into your daily routine, and have them read to you as appropriate. As much as kids hate workbooks and worksheets during the school years, they tend to LOVE them in the summer. The dreaded homework can turn into a novel activity, and it’s often easy to get them to “play school” for a little bit at a time. I really like these Big Practice Books of Kindergarten Skills. They’re pretty basic, and you’re not going to find anything groundbreaking in there (which makes them the PERFECT summer workbooks). These workbooks serve as a general review and are the perfect light summer skills refresher. Lila and I tend to tackle a few pages at a time when her brother is asleep- no more than ten minutes a few times a week. You can go through the book page by page, but I recommend you pull a page from each section (Letters, Reading, Numbers, Pattern Recognition, Problem Solving, etc) and do a bit from each area in one setting. You can either flip back and forth in the book, or do what I do and physically remove pages from the workbook and staple them together. There are TONS of fun summer learning activities to help kids practice their alphabet. Attend storytimes where they do letter activities, or have your child put flashcards in ABC order. Ask them to paint the letters using a big paper and an easel, or make them out of sticks. We also love these big refrigerator magnets, which make it easy to work on a couple letters each time you go in and out of the kitchen. 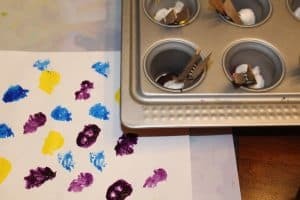 I also stumbled upon this adorable sprinkle-tray idea on Pinterest (follow our School and Education board for more unique ideas!). 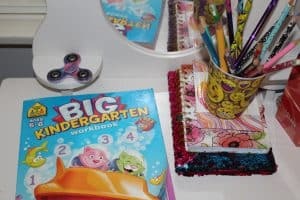 Kids use a shallow tray filled with sprinkles to “write” the letters with their fingers. For extra practice, have them say the letter’s sound as they write it. I mean, does anything say “summer” more than ice cream with sprinkles? I don’t think so. Paper Heart Family also has a value-packed ebook on learning and practicing letters. Low prep, hands on activities will help your kids review without even knowing that they’re learning. You might feel obligated to get in some word reading practice with your kids. And that’s all well and good, but don’t overuse it to the point where you’re making reading a chore. If you do want to get in some actual summer reading practice, try to present it in a unique way. Use a dry erase board to change one letter at a time (such as turning “cat” into “bat”), or build words with flashcards or letter tiles. We also found this SUPER fun activity from Planning Playtime that uses interacting, DIY buttons to let children to touch/push each sound as they say it aloud. Then, they move a car along the sounds to blend them into a word. This is the approach teachers use with beginning readers, and will give kids meaningful practice that translates to school success. You can also help your child practice their auditory (listening) skills by doing something we call phoneme blending. (Try to call it something more fun than that when you present it to your kids though!) You give them each sound in a word individually, like “d/o/g”, and they put it together to “guess” the word. You can also reverse the game by giving them a word and having them break it into its sounds. Art activities help kids practice valuable skills, like fine motor skills (crayons, paintbrushes, stickers), color and shape recognition (markers, mosaics, and painting), and creative problem solving. And it’s usually such fun that those skills blend in without your preschooler even knowing they’re learning. 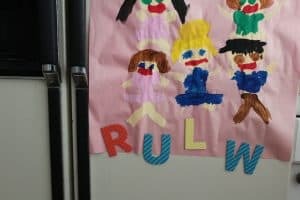 If you want to add another skill to their art sessions, consider asking them to sign their name to their artwork. It’ll give them casual and frequent practice with writing their name, and it won’t feel like a chore. There’s nothing more important than one’s own name, and I’d hate for your child to lose this skill to the summer slide. Hands-on math is the best way to brush up on kids’ number sense, and there are so many amazing summer learning activities for math. We like these mats for counting (you can use them with goldfish, fruit loops, or even fruit snacks). 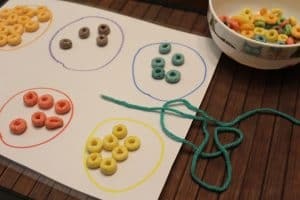 We also made these super easy mats with a marker- one circle in each Froot Loop color- to allow kids to practice sorting. Then, to practice patterns, have your child create a necklace using fruit loops in alternating colors, or maybe two different kinds of circle-shaped cereal. Another great trick is to incorporate addition and subtraction into your snack-making. Have your child help you make some ants on a log, first adding two raisins and then two more. Ask them how many they have altogether. As they eat the snack, ask them how many raisins remain. It doesn’t have to be ants on a log (because some kids are PICKY, amiright?) but this basic principle can be used with all kinds of treats and snacks. At the end of the day, remember this is SUMMER- your child’s vacation. Take some time to avoid summer learning loss, sure, but keep it casual. Your kids should spend the majority of their time running, playing, creating, and- frankly- getting bored. Embrace it. Enjoy as much of it as you can (not those parts where they’re cry-begging you to invite more friends over, obviously. No one is that crazy). And try to remember that school will be here before we know it.